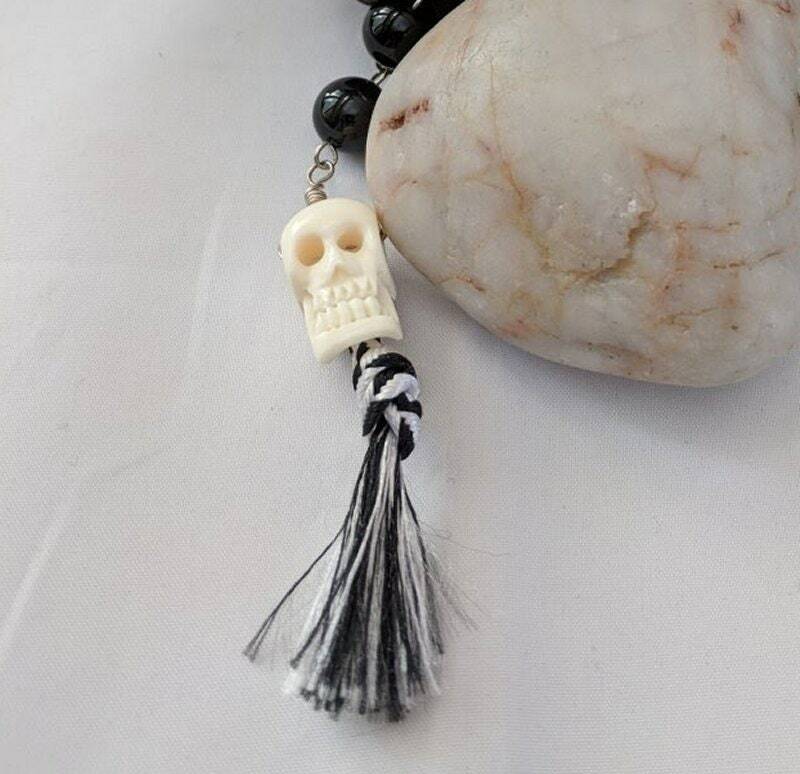 This paternoster has a 20x13mm carved white bone skull with a small black and white tassel at one end. 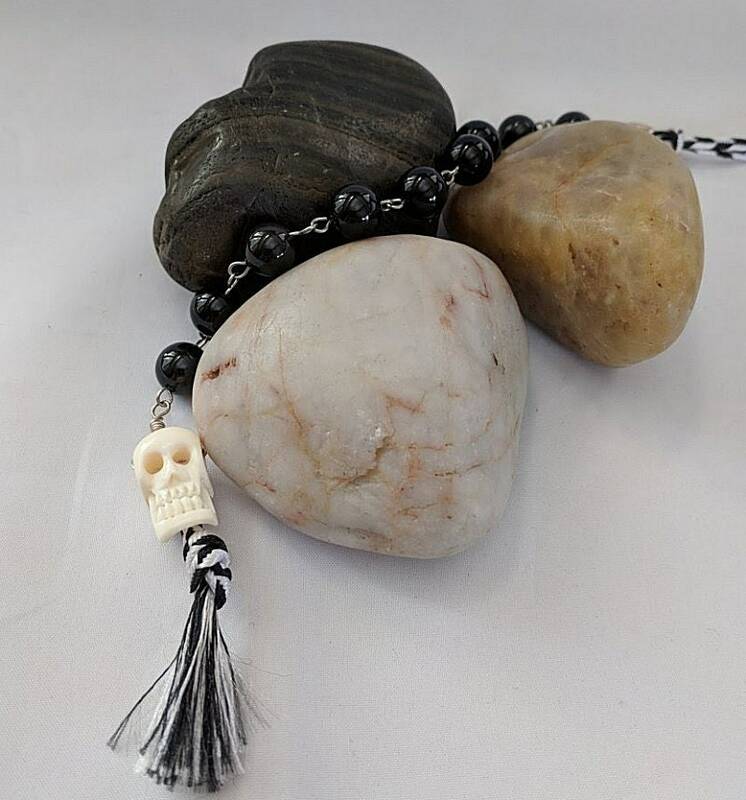 This is attached to ten 10mm onyx round beads with wire loops and have a metal ring with a black and white (counter company) cord for hanging from the belt on the other end. 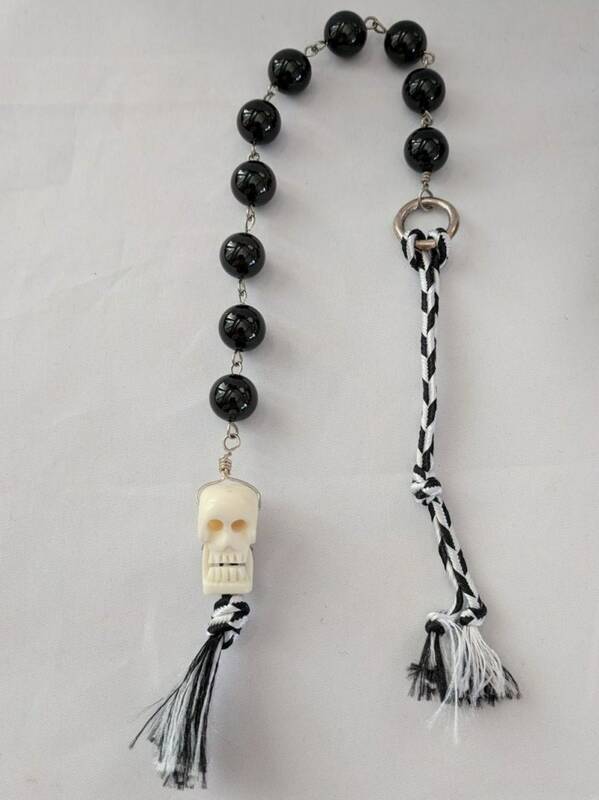 Excluding the cord, this chain of prayer beads measures 9 1/2" in overall length. MEMENTO MORI - Memento Mori Jewelry, including rosaries, with its unflinching use of symbols of death and its purposeful message, "Remember you must die" was widely worn in Western Europe during the 16th century. A constant reminder that life is temporary and heaven should be the ultimate goal, its intention was to encourage virtuous living.